James Harvey was an abstract expressionist painter in New York City whose dayjob was designing product packaging. 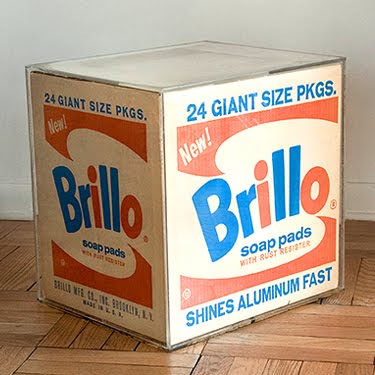 In 1961, he redesigned a case of Brillo Pads, for example. That was right about the time the market for AbEx evaporated in the sudden heat of Pop Art. For his first sculpture show in 1964, Andy Warhol, who supported his early art career by working as a commercial artist, had about a hundred plywood boxes made, and painted, and silkscreened, to look like Harvey's design. Harvey saw the show. 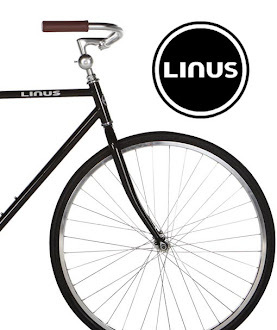 Thought it was a joke. The art historian Irving Sandler suggested Harvey set up shop at his own gallery and sell signed Brillo boxes for ten cents. The only one he ever signed, however, was Sandler's, above. Harvey died in 1965.